Medea’s cries echo through history with a furious infamy that will not be silenced. Long before Lady MacBeth handed her husband the dagger to kill a king, or Mrs Lovett persuaded Sweeney Todd to provide a fresh stock of dead bodies for her pies, Medea’s crimes rang out as more brutal and bloody. Her story is one of the most chilling and influential in western culture but was Medea a savage murderer or, in fact, a tragic victim? A barbarian sorceress, proud princess or wronged wife? 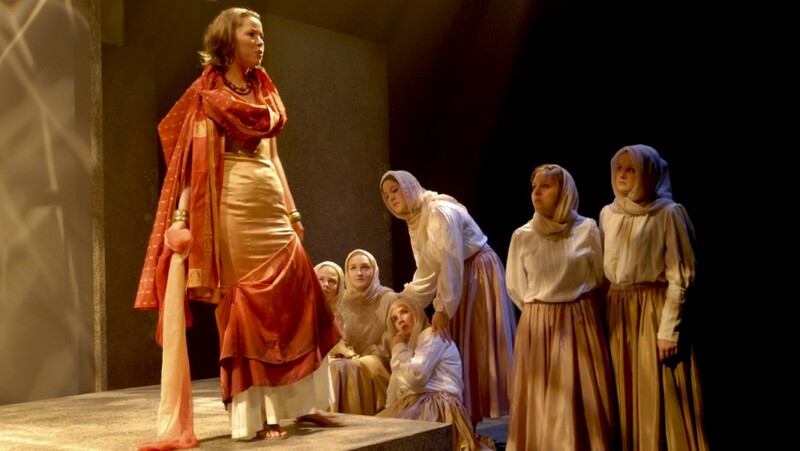 The Young Company performed an ensemble production of this great tragedy in August 2008. The performance company of actors and dancers worked together with a young design and production team to create the show.